IMO Maritime Environment Protection Committee (MEPC) 68th Session was held on 15th May 2015 where MASA Vice President, YBhg. Dato’ Ir. Abdul Hak Amin represented MASA. IMO Maritime Security Committee (MSC) 95th Session was held on 12th June 2015. Mr. Hazrin Hassan represented MASA for the session. The 29th Assembly of IMO was held in London at IMO Headquarters from 23 November to 2 December 2015. All 171 Member States and three Associate Members are entitled to attend the Assembly, which is IMO’s highest governing body. The intergovernmental organizations with which agreements of co-operation have been concluded and international non-governmental organizations in consultative status with IMO are also invited to attend. MASA has been meeting with Sabah Ports Sdn Bhd to discuss and find a way forward for some of reports whereby Sabah Ports users are experiencing slow movement, resulting long berthing time. The discussion proved fruitful as Sabah Ports complies to provide the standard reporting using International Standard as well as taking necessary steps to improve their efficiency. 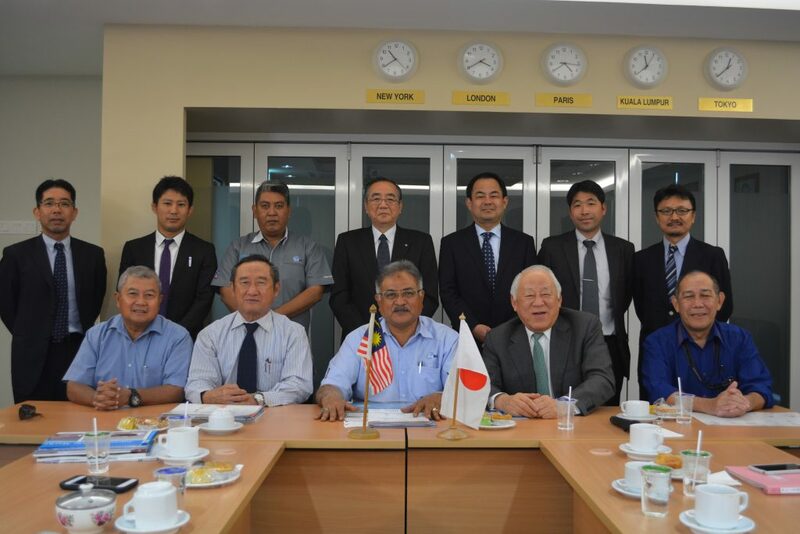 Malaysia External Trade Development Corporation (MATRADE) called MASA for a session to verify the Key Performance Index of the National Export Strategy for Offshore Supply Vessel Services. The meeting, which was held on 10th April 2015 was attended by MASA EXCO Member, Capt. Mizan Redzwan and MASA Secretariat. MATRADE has taken the initiative to facilitate the export of Oil & Gas services overseas under NES program. However there are some discrepancy on the data collected by MATRADE which shows that Malaysia is a net exporter for OSV services. Capt. Mizan corrected the impression by highlighting the DSLE statistics which clearly shows that Malaysia is in fact still reliant on foreign flagged services. MATRADE has targeted to seek alternative for the scenario for OSV players to be ready to export their services by 2018. Singapore is key base location for many of Platts oil products assessment. However, further expansion of Singapore on-land oil storage is likely to be limited, while the growth plans in nearby Johor and the Riau Island mean trading of products as well as the benchmarks that reflect the activity has spilled beyond and into new frontiers. 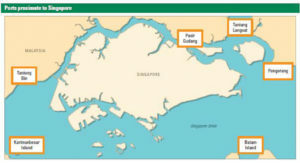 Therefore, Platts FOB Singapore oil benchmarks plans to reflect those regional terminals as FOB Straits. FOB Straits encompasses terminals beyond Singapore’s borders. Therefore, a talk was set up by MASA on 16th March 2015 to set the stage for Platts to present the FOB Straits to Malaysia owners. The presentation was delivered by Mr. Jonty Rushforth from ATT Platts. Among present were MASA members as well as government officials from KPDNKK, and also representatives from Petronas. MASA Chairman have met with GIC Secretary, YBhg. Dato’ Mohd Isa Hussain on 29th May 2015. The meeting discussed on Maritime Fund that is manged by Bank Pembangunan Malaysia Berhad. MASA proposed that MOF to find ways to assist ailing Malaysia shipowners in need of financial assistance using the Maritime Fund. Sarawak State Planning Unit has organized a stakeholders’ meeting on crafting the National Transport Strategy on 21st January 2015 in Kuching. The meeting was attended by Mr. James Ong. MOT called MASA and Petronas for a discussion regarding issues raised by MASA and OSV Malaysia regarding Malaysia Ship Registry vs MISR. Petronas (Group Supply Chain Management, Finance Division). The discussion is to clarify to Petronas about MSR & MISR along with the difference between the two. Mardep told the meeting that MISR ships currently stands at about 55 vessels with 54 of them being OSV. MASA and OSV pointed out that Petronas should consider to charter MSR vessel as Tier 1 before considering MISR on 2nd Tier and then foreign vessel. MOT also shared their initiative to define MISR as vessel plying outside Malaysia waters. Meeting Regarding Proposal To Have Self-Defense Training With Paskal At MOT. Following on the proposal by Minister of Defense during Cabinet Meeting, a meeting was called to discuss the feasibility of self-defense training for seafarers by PASKAL. The meeting agreed that fighting off or against pirate attackers is very dangerous and that seafarers already have guidelines such as DDD (Detect, Deter, Defend). Hardening measures is also a more acceptable option as explained by one of MASA members present. The meeting therefore unanimously agreed that fighting attackers’ onboard ships brings more harm than good, specifically to the safety of its crew. “Program Sahabat Maritim” is a collaborative effort between APMM and MASA to achieve a number of objectives. Among the objectives of this conference programme are to establish a better understanding of maritime development & activities in the southern region to learn compliance requirements (Standard Operating Procedure) for merchant vessels entering Malaysian waters for any activities. In addition, the full day programme is to foster a sense of responsibility to the community of merchant ships in the distribution of important information. especially which involves cases of piracy and sea robbery. This conference also aims to create network between APMM, MASA and the merchant ship community. The conference was held on 28th October 2015 at Grand Paragon Hotel, Johor Bahru. A total of 125 pax of participants attended the conference. Since the Convention came into force in 2013, MASA has been actively participating in efforts of the Marine Department to implement the Convention. The Association is involved in the thorough discussion between a tripartite between the regulators, shipowners and seafarers union in the revision of the provisions of MLC 2006 which covers the whole aspect of the convention. In 2015, the first Tripartite Meeting of the MLC 2006 was held on 10th February 2015 at Marine Department Malaysia. The purpose of this meeting is essentially to exchange information regarding steps that Members of the tripartite have taken to implement the MLC 2006 and also identify any matters and issues particularly any difficulties regarding application to the convention. Following to the MLC Tripartite Meeting held last 10th February 2015, MASA together with Sabah Sarawak Shipowners Association, Marine Department and Shipbuilders Representative had another meeting in Sibu to discuss on the Exemption List Under Title 3 from Para 8 to 21 in the MLC 2006. The Day of the Seafarer is an annual event recognized by the United Nations that was adopted in 2010 at the IMO Diplomatic Conference of Parties to the International Convention on Standards of Training, Certification and Watchkeeping for Seafarers (STCW) held in Manila, Philippines. Every year, MASA never missed to participate and celebrate this significant day which organized by the Marine Department Malaysia. For 2015, the International Maritime Organization (IMO) decided that the focus of the Day of the Seafarer celebration would be on maritime education in order to increase awareness among younger people and to encourage them to pursue a fulfilling career at sea. The event was officiated by Ministry of Transport Secretary General, YBhg. Datuk Dr Ismail Hj Bakar. In his remarks, he thanked the organizers for holding the event to recognize the important contribution of seafarers to shipping, international trade and the world economy. He noted that 90% of trade relies on shipping and that global commerce would come to complete halt if not for the hard work and sacrifices of seafarers. For this year, MASA was appointed as F&B committee and the Association would like to thank to our members, Rising Star Shipping Sdn Bhd, Jumewah Shipping Sdn Bhd, PBJV Group Sdn Bhd, STK Shipping Logistics Sdn Bhd, Bureau Veritas (M) Sdn Bhd and Argo Engineering Sdn Bhd who have sponsored and supported the event. 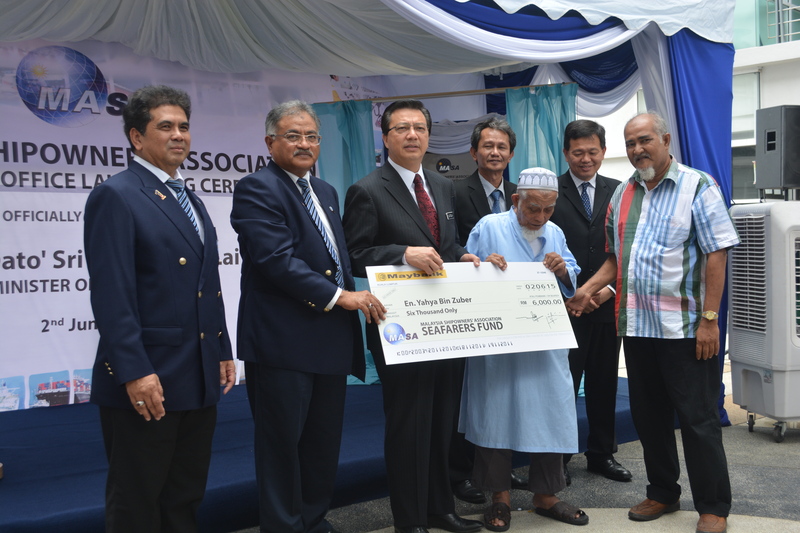 For Seafarers Fund, this year MASA had contributed to two (2) unfortunate ex seafarers: En. Zulkefli bin Saadon and En. Ahmad bin Iskandar during the event in the form of Mock Cheque, delivered by MASA EXCO En. Faizul Ismail. The first kick-off meeting was held on 11th March at Malaysia Maritime Academy (ALAM), Malacca. All 2014 pending matters have been discussed in this meeting. First issue is on the training berth on offshore support vessel (OSV) especially for Petronas Project. Second issue is on the acceptance of full seatime for cadet serving on board OSV. This proposal is to get recognition by the Marine Department for ships OSV and near coastal in provide training to the cadets and sea berth time for seaman. On 14th April, a meeting with MOT, MARDEPT and MOT was held to discuss the matter. The meeting had decided that MARDEPT is recognized the cadet who work or ongoing training sea berth on OSV 500 GT and above. Third issue is on the fast track OSV Bridging Programme. The proposal should indicate the bridging program training matrix from maritime to offshore. The bridging program should reduce the onshore program to 3 months period instead of 6 months and the candidates can commence their 9 months onboard training on offshore OSV soonest they complete the shore based training. This program should shorten the rank downgrading period from the current 2 years to 1 year. Domestic Shipping Licensing Board (DSLB) Meeting is one of the meeting to be convened each year and meeting members are appointed by the Minister of Transport in accordance with the Merchant Shipping Ordinance 1952 (MSO 1952) Section 65B. Among the functions of the board are to monitor the issuance of licenses to the shipping company in accordance with the MSO in 1952, regulates the rules related to Domestic Shipping Licensing and considering the recommendations and amendments policy formation related to Domestic Shipping Licensing. 2. Proposal to Enhance Existing SOP for DSLE application. Both proposals will be presented in Board again scheduled on the next DSLB Meeting. MASA is a founding member of Federation of ASEAN Shipowners’ Association (FASA), an association which is present to protect the interest of ASEAN Shipowners. MASA has been very vocal in highlighting the concerns of ASEAN Shipowners in general. MASA was invited by Ministry of Transport Malaysia as Malaysian delegates representing Shipowners’ to join the ASEAN MTWG meeting which was held in Sihanouk Ville & Phnom Penh, Cambodia. MASA was also invited to the meeting under the banner of FASA. Ir. Nordin Mat Yusoff, MASA Chairman was present as an EXCO Member of FASA for the meeting. MASA under the banner of FASA have voiced out the concern for the rise of maritime related crimes which are hampering the Straits of Malacca and South China Sea. This is to echo the recent events where a Malaysian Registered Ship was captured by armed robbers who were trying to sell the cargo off. The rise of crimes is worrisome to the shipowners, as lives of their crew are at stake. FASA have called out for ASEAN countries to work together to fight off the rise of criminal activity in ASEAN waters to prevent the recurrence of ASEAN waters to again declared as War Risk Zone back in 2005. This would have a real and adverse impact on all vessels sailing in ASEAN waters. With the advent of Ballast Water Management Convention that will enter into force very soon, the meeting noted FASA’s statement on Ballast Water Convention, particularly on the concern from maritime industry with regard to high cost of compliance to BWM Convention. FASA urged ASEAN Member States to expedite the development of a Regional Strategy and Action Plan to implement the Ballast Water Management Convention, to allow exemptions for vessels plying exclusively within ASEAN waters from the burdensome BWM requirements. FASA’s concern has been addressed in the ASEAN Transport Strategic Plan 2016-2025. MASA was invited to join as the industry representative for the 8th Cooperation Forum which is held at Resorts World Sentosa. MASA Secretary General and General Manager was present for the Forum. Federation of ASEAN Shipowners’ Association (FASA) is a member of the ASIAN SHIPOWNERS FORUM. This year, ASF held their Annual General Meeting (AGM) on 18th to 20th May 2015 at Haevichi Hotel & Resort, Jeju Island, South Korea. MASA, under delegation of FASA attended the ASF AGM. Interim Meeting was held on 23rd March 2015 at Amara Hotel, Singapore. MASA Chairman, Ir. Nordin Mat Yusoff attended the meeting. ASF Shipping Economic Review Committee (SERC) Interim Meeting was held on Shang-ri La Hotel Kuala Lumpur. Attendees present are Ir. Nordin Mat Yusoff, Mr. James Ong, YBhg. Dato’ Loo Son Yong, En. Faizul Ismail and Capt. Johari. Being a focal point for shipowners’ in ASEAN countries, FASA plays a role in highlighting concerns and wishes of ASEAN shipowners. FASA held its Annual General Meeting on November 23rd. The meeting was attended by MASA Honorary Treasurer, Capt. Johari Mohd Noh and MASA General Manager, Mr. Shaharuzzaman Baharum. “Goods And Services Tax (GST)” Talk Session was held in Billion Waterfront Labuan with the collaboration of Royal Malaysian Custom. 22 pax has participated in this session. This training is a continuation of past training in order to assist members especially on GST Training for Shipping Industry. A series of workshop was conducted in order to provide awareness to fellow MASA members in the know of process of Domestic Shipping License Exemption and procedures required. Workshops had been held in Labuan, Putrajaya and Port Klang along year 2015. MASA will keep on conducting several more workshops in near future in order to update and share the information among MASA Members. Marine Lubrication Seminar is an initiative collaboration by Mobilub Trading Sdn Bhd with MASA with the topic of ‘Integrated Lubrication Solutions to Improve Marine Operation’. Held in MASA Training Room, over 25 participants had anticipate the session. Presented by expert presenter which has more than 40 years of experience in lubrication industry. A collaboration joint between MASA and Haji Alias Jalaludin, former MISC Berhad, an expert in maritime shipping industry. The objective of this training is to provide the bigger picture of shipping business which includes ship’s chartering, ship’s structures, various type of ship and different type of cargoes, various types of shipping contracts, chartering terms and conditions and activities supporting the maritime transportation. 3 Modules offered in this programme which covers Anatomy of Shipping and Ship’s Chartering, Voyage Estimate Calculation Workshop & Lay time/ Demurrage Calculation Workshop. 29 participants from various maritime entities had participated. MASA Annual Golf Tournament 2015 was held on the 16th April 2015 at the Staffield Country Resort, Mantin, Negeri Sembilan. The tournament consisted of 32 flights. MASA Charity Golf Tournament 2015 was held on the 6th December 2015 at the Bukit Kemuning Golf & Country Club Shah Alam. Total of 88 golfers participate in this charity tournament. MASA contributed the profit from the charity golf tournament to the Seafarers Fund. MASA Annual Dinner 2015 in conjunction with World Maritime Day 2015 which was celebrated at Dewan Merdeka, Putra World Trade Centre on the 31st October 2015. Entertainers invited such as Datuk Jamal Abdillah, Dasha Logan, Caliph Buskers and Kuah Jenhan. The World Maritime Day (WMD) is celebrated annually by the Ministry of Transport (MOT) and Marine Department of Malaysia (MarDept). 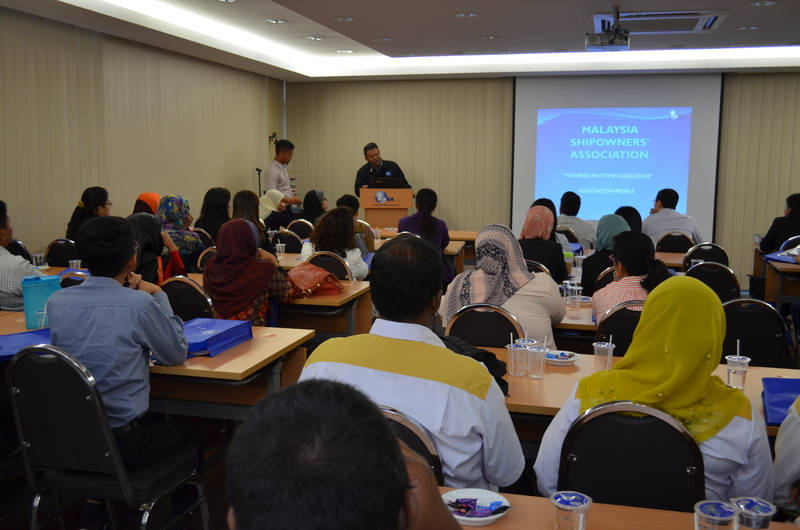 For year 2015, WMD Celebration in Malaysia was hosted by MASA and Ikthisas Kelautan Malaysia (IKMAL). This event gathers the key fraternity from the industry including government officials, MD and CEO from maritime related industry.